When a person is missing a tooth or multiple teeth, this creates many issues that impact the look of a smile and the overall dental health. While removable dental appliances are a popular answer for tooth loss, more and more people are turning to dental implants to aid crowns, bridges and dentures. A cosmetic dentist would like to go over the basics of dental implants. A dentist will want to study the basic structure and anatomy of a dental implant, so a person may have a better understanding of how the dental implants operate. Dental implants are a simulation of a tooth root that is surgically implanted into the gum tissue and jawbone. After fusing to the bone structure of the jaw, dental implants can reinforce an individual's dental crown, a partial dental bridge or a full denture. We cover each of these in more extensive detail below. The implant post is what people ponder most when a person hears the term dental implant. Shaped somewhat like a screw, the implant post connects directly into the jawbone during oral surgery. The implant post is created of titanium, allowing it to join with the bone structure and form a bond comparable to a natural tooth root. The abutment serves as the linking portion of the dental implant. This part of the dental implant fastens to the top of the exposed implant post. The abutment joins the final dental appliance to the implant post. Abutments consist of a variety of materials. The perfect abutment material for a patient can be discussed in further detail during the consultation process. The restoration or appliance signifies to the false tooth or set of false teeth that will be reinforced by the dental implant. This is frequently a crown for a single tooth replacement, a bridge for people missing several teeth and a denture for patients who are missing multiple or all the teeth. Dental appliances and restorations are cautiously crafted at a dental lab. Technicians will use x-rays, dental records and dental impressions to craft the final device. The idea is to make the appliance appear natural and fully functional, just like an actual tooth or set of teeth. The best way to discover if dental implants are correct for a person is to visit a practice for a consultation. 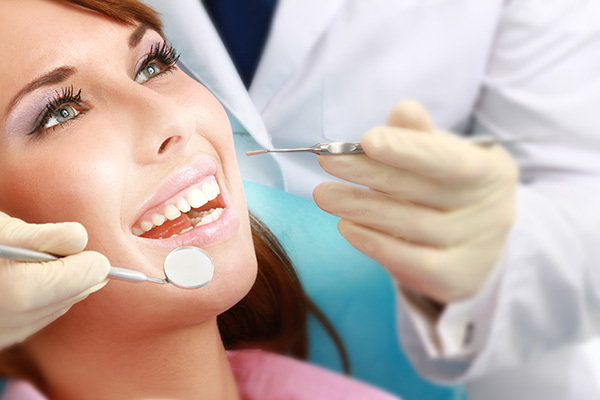 During the visit, the dentist will answer all the questions and address all the concerns about the treatment process. A dentist will also discuss payment and financing options to put implant dentistry treatments within a person's grasp. Contact a cosmetic dentist for a consultation. They will help you have a healthy and beautiful smile.